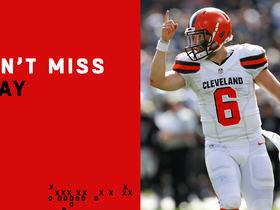 Analysis: Fells spent most of his 39 snaps (48 percent) run-blocking, but the veteran was able to make a huge splash when Baker Mayfield found him in the middle of the field for a 49-yard touchdown in the second quarter of Sunday's game. David Njoku is still the tight end to own in fantasy leagues, though Fells could steal a few red zone targets as the season progresses. 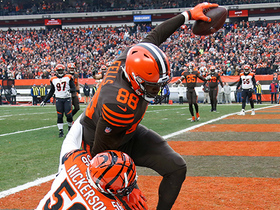 Analysis: David Njoku continues to see the majority of targets at tight end, as Fells now has three receptions on three targets for 27 yards this season. Primarily a run blocker, the veteran isn't likely to play a major fantasy role anytime soon. 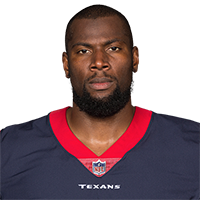 Fells agreed Wednesday with the Browns on a three-year, $12 million contract, Ian Rapoport of NFL Network reports. Fells caught 17 of 26 targets for 177 yards and three touchdowns across 16 games in 2017. 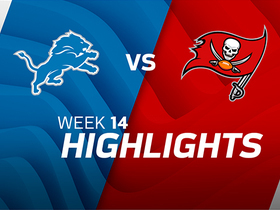 Fells brought in one pass for 23 yards during Sunday's 24-21 victory over the Buccaneers. 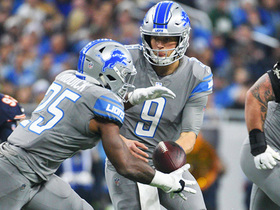 Analysis: Fells saw less playing time than Eric Ebron for the first time in a while Sunday, which is strange since the Lions were playing without right tackle Ricky Wagner (ankle, back) and figured to use their veteran blocking specialist to help out on the edge. Regardless, Fells remains far off the fantasy radar. Fells secured both of his targets for 10 yards during Sunday's 44-20 loss to the Ravens. Fells saw three targets but was held without a catch during Thursday's 30-23 loss to the Vikings. 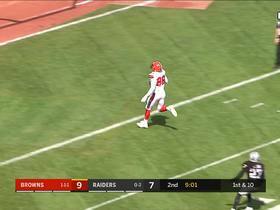 Analysis: Fells, operating from the slot, looked to have come down with a touchdown in the second half but the play was overturned after replays showed the ball hit the ground. Outside of that play, Fells wasn't heard from much, as he did most of his work as an in-line blocker. 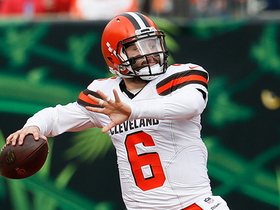 He isn't on the fantasy radar ahead of a Week 13 matchup with the Ravens. Fells secured his only target for nine yards during Sunday's 27-24 victory over Chicago. 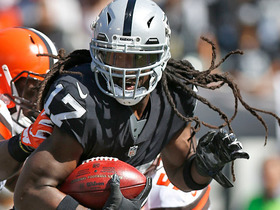 Fells saw one target but was held without a catch during Sunday's 38-24 victory over the Browns. 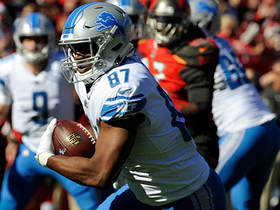 Analysis: Teammate and fellow tight end Eric Ebron was actually more productive than Fells this week. However, the latter didn't receive many opportunities to catch passes since he was mostly used as a blocker against a respectable Browns defensive front. Barring injury, both Fells and Ebron remain touchdown-dependent fantasy options moving forward. 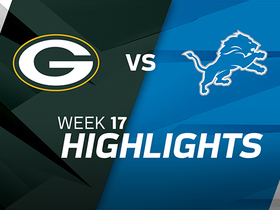 Fells secured his only target for 10 yards during Monday's 30-17 victory over the Packers.